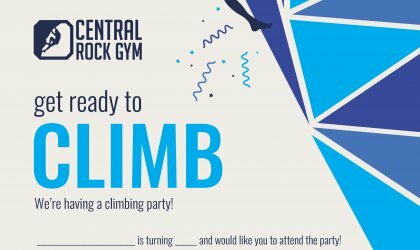 Birthday parties at Central Rock Gym are a great way to relax for 2 hours while your kids and 8 to 25 of their friends, or you and your friends, reach new heights on our climbing walls. Our parties offer a perfect blend of instruction, rewarding challenges and plenty of fun to give each participant a truly memorable experience. All participants will be raving about the event for weeks after it’s over! You can fill out the required waiver here and visit the tabs below to answer any questions you may have. • Price: Minimum payment of $240 for the first 8 climbers. Each additional participant is an added $30, up to 25 participants. You may have less than 8 participants; however, you will still be charged the minimum amount. A $50 non-refundable deposit is due upon booking the event. For security purposes, no credit card information is retained from the deposit; meaning the total balance must be paid at the end of the event. Should you have to reschedule your event you may transfer your deposit to a future available day and time. • Climbing: Our staff will guide your climbers around the gym for 1.5 hours of climbing, taking care of all the belaying for the group. 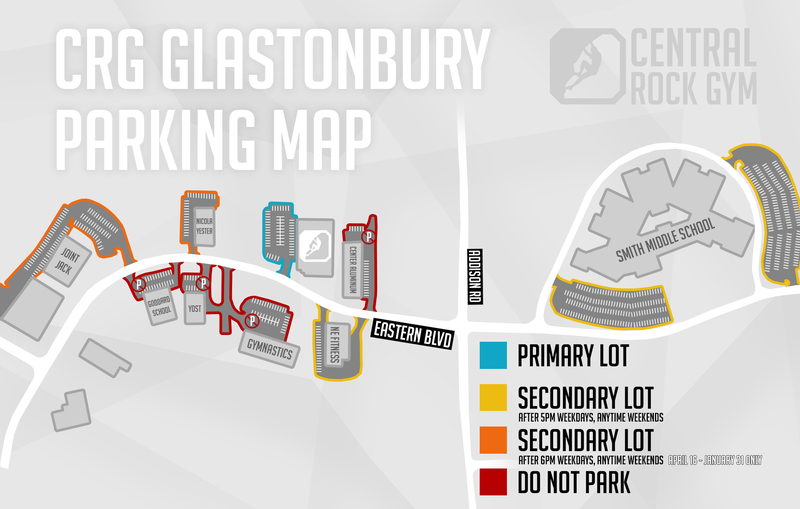 We have a 1:5 ratio of staff to climbers, so everyone will have plenty of time to climb. Bouldering is not included before, during, or after the party. • Arrival: Please inform guests to arrive 10-15 minutes before the scheduled start of your event to ensure a prompt start time. Climbing time will not be extended because of a late start. • Reservations: Parties must be booked at least 14 days prior to your requested date and time. Any events requested less than 7 days before the intended date will need to work directly with the event coordinator to see if staff can be found on short notice. • Age: Parties are generally recommended for participants 6 years of age and up. We do accommodate for attendees younger than 6 by providing body harnesses, but we do not have enough to supply an entire party’s worth. • Party Room: Use of the party room for snacks and presents AFTER the climbing portion of the event is for 30 minutes. You may bring decorations for the room, which you can decorate while everyone is climbing. If you would like to opt out of the use of the function room altogether and climb for the full 2 hours that is also an option. We provide all paper/plastic goods needed (plates, cups, eating utensils, napkins) a cake knife, lighter, fridge/freezer, tables, and chairs. • Food: Food and drinks are not provided by the facility. • Party Favors: Each participant will receive a CRG sticker and carabiner. • Waivers are required for all participants and they must be signed by a legal parent or guardian if under 18. Fill out the waiver online before the party to save time! Party hosts will NOT be able to sign waivers for kids other than their own. • Climbers should wear comfortable, flexible clothing (yoga pants, leggings, sweatpants, long gym shorts, t-shirts, tank tops, etc.) and sneakers (no crocs, flats, boots, or flip flops). Climbing shoes are not included in the event. Anyone wearing inappropriate shoes can rent a pair for an additional $5. Click on the thumbnail below to view & print out invitation.